An Explainer video is the best way to clearly explain your product service or business to your customers. * Video supplied in HD 1920x1080 mp4 or any other format and of course without watermark.You will be able to request amendments. Any other questions, please ask BEFORE ordering. just give me the website link or business details. Overcomplicated Process in invoicing, Scripting writing was not good, lots of English grammar mistakes. Voice Over were good. Overall process could be improved. But, final video was good. Top communication throughout and worked fast and efficient on brief. I will certainly be looking to use them on future projects...Very impressed and excellent service...Well Done!! Thanks a lot justin. i hope we will work together again soon. 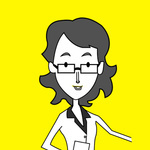 We are offering ,WHITEBOARD ANIMATION, CARTOON ANIMATION, ILLUSTRATIONS, etc. We are determined to give your brand name. Our clients are Nickelodeon,Ninja Turtle,Fairly Odd Parents, USAID NGO,Toyota,JibJab,Hands NGO and teams up with trained and talented storyboard artists, Animators and web designers who are maintaining the rituals of the company.